Moored at Bataviawerf, in Lelystad, in the Netherlands, is an authentic replica of a 17th-century ship named Batavia that once belonged to the Dutch East India Company. 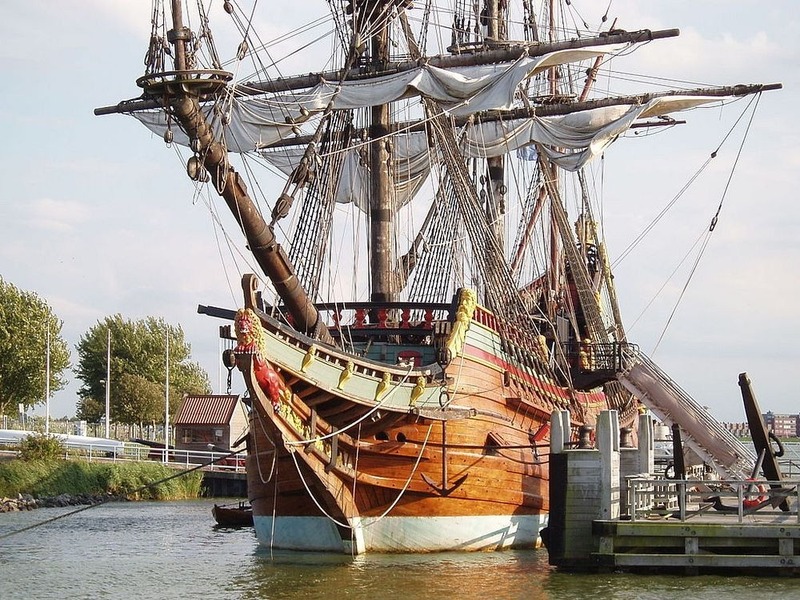 The replica was created by master-shipbuilder Willem Vos, who carries an extraordinary mission —to reconstruct famous ships from the golden age of the Netherlands' maritime history using traditional ship-building techniques that were popular during that period. So far, he has built Batavia, while a second ship “The Seven Provinces”, is a work-in-progress. Willem Vos originally owned a company that built wooden and polyester boats, but with modernization demand for handmade boats was falling. Once, when Vos went to the bank to ask for credit, the bank tried to belittle his company by saying that his profession belonged in a museum —and inadvertently gave him the idea for Bataviawerf. Vos realized that if he could successfully build a large 17th-century ship using only 17th-century materials and methods, people would be more than willing to pay to see this kind of work in action. 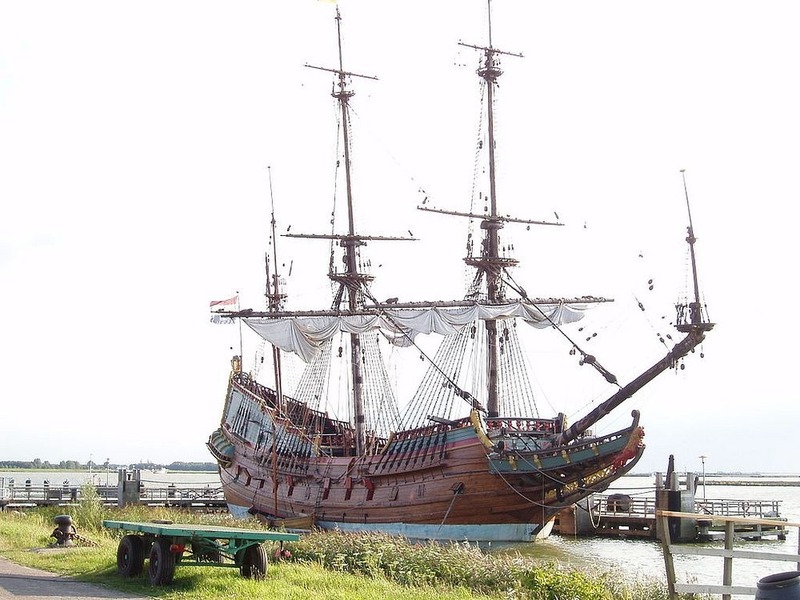 Willem Vos decided that he would reconstruct the Dutch merchant vessel Batavia, a project that soon developed into a unique experiment in historical shipbuilding. 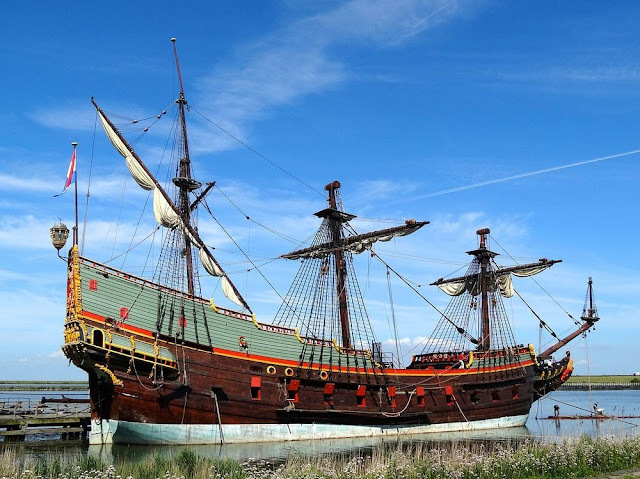 The replica of Batavia was built between 1985 and 1995 using traditional materials, such as oak and hemp, and using the tools and methods of the time of the original ship's construction. Vos made extensive research of the subject using historical sources, such as 17th century ship-building descriptions and prints and paintings by artists of similar ships. 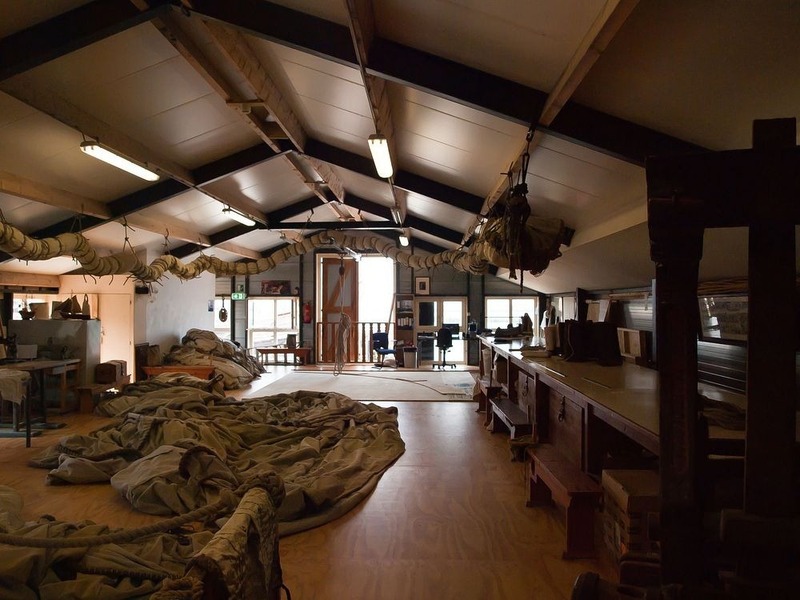 Long forgotten, traditional crafts such as woodcarving, forgoing and rigging had to be re-learnt. 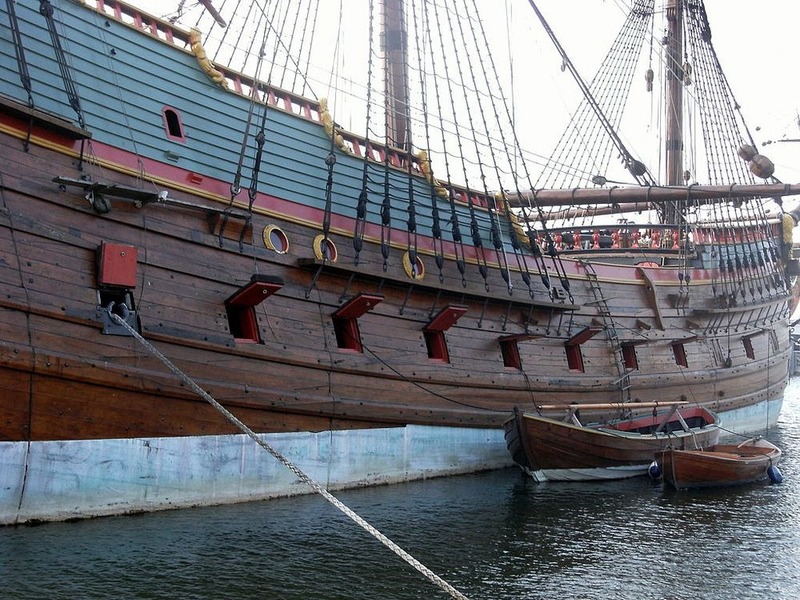 The remains of the original ship in Fremantle, as well as the Vasa in Stockholm, provided invaluable information. The original Batavia set sail from the Netherland on June 4, 1629, with a crew of 332, but became wrecked on its maiden voyage off the coast of Western Australia. The survivors managed to swim to the nearby Beacon Island, but about 40 people drowned. What then played out on the tiny coral island is a fascinating tale of maritime treachery, murder and heroism that has inspired movies, books and plays. Even before the shipwreck, a bankrupt former pharmacist named Jeronimus Cornelisz, who was fleeing the Netherlands in fear of arrest because of his heretical beliefs, had been conspiring with the ship’s captain, Ariaen Jacobsz, and other crew members, to raise a mutiny, and sail the ship away to an unknown destination which would allow them to start a new life using the huge supply of gold and silver on board. The crew tried to provoke the ship’s commander, Francisco Pelsaert, by molesting a high-ranking young female passenger. 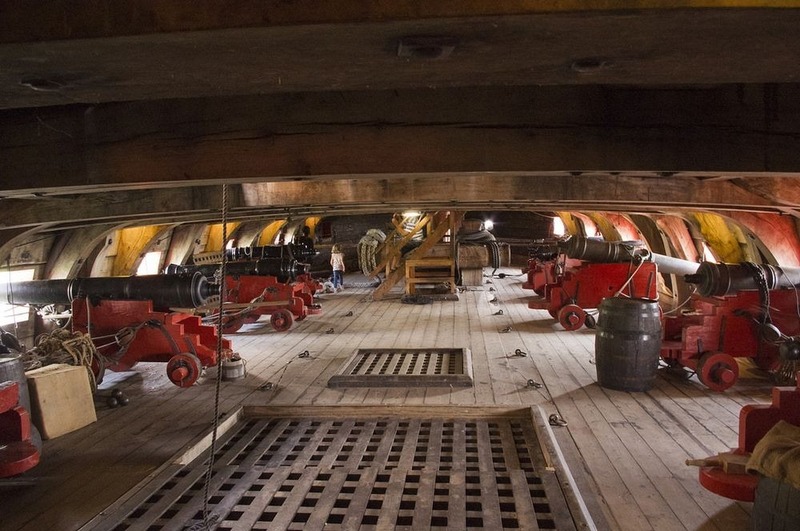 The idea was to provoke Pelsaert into punishing the crew, which would then be used as a pretext to rise in revolt. 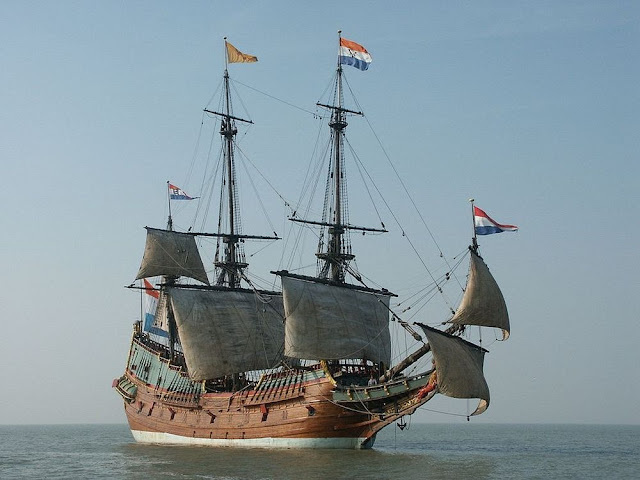 However, Pelsaert choose not to act until they reached land, and the mutiny failed. Before the conspirators could make another move, the ship struck a reef near Abrolhos Islands and sank. Forty people drowned, but the rest managed to swim to Beacon Island. The survivors took with them most of the food and other provisions from the ship, but there was no fresh water on the islands. Realizing their dire situation, the ship’s commander Pelsaert, Captain Jacobsz, a few crew members, and some passengers —a total of about forty-eight people—left the others on the island on another boat in search of fresh water. After an unsuccessful search for water on the mainland, the party headed north in a danger-fraught voyage to the city of Batavia, now Jakarta, to obtain help. The journey took 33 days, and extraordinarily, all aboard survived. On arrival in Batavia, the ship’s boatswain was arrested and executed for negligence. Skipper Jacobsz was also arrested, but Pelsaert was unaware of his hand in the potential mutiny. 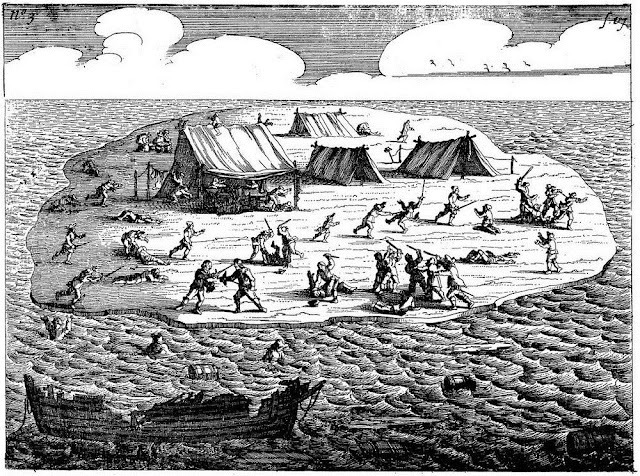 Meanwhile, a search party, lead by Pelsaert himself, was organized to rescue those still stranded on the islands. With extraordinary bad luck, the search party took two months to arrive at the islands, only to discover that a bloody massacre had taken place among the survivors, reducing their numbers by more than one hundred.